After more than six hours of bus ride to Honduras, I checked in my hotel and was a bit disappointed because it was raining. I was planning to roam around the city but unfortunately, that was not possible. Nevertheless, I enjoyed a bit of luxury in Hyatt Hotel. 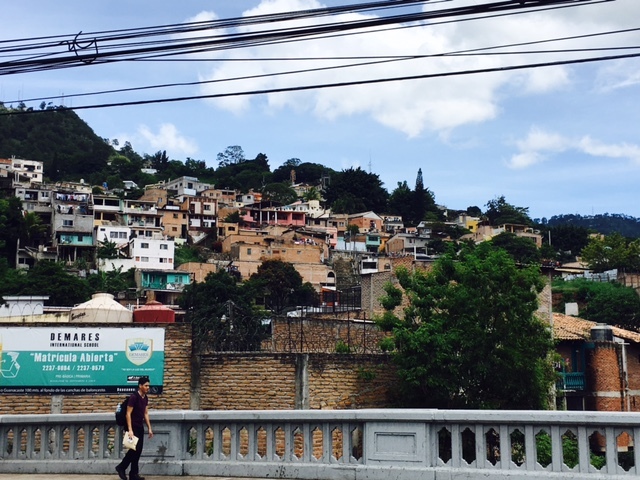 The next morning I prepared early to walk around Tegus (short for Tegucigalpa). The city is located in a mountainous area and the houses and buildings that surround it make a picturesque view. From hotel, it was more than 30 minute walk to Plaza Morazan which is located in Calle Bolivar. This square is considered as the heart of the Tegus' old city. 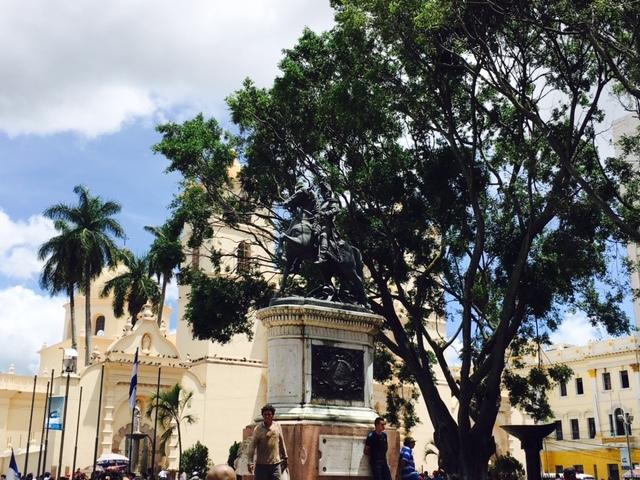 The most notable icon is the statue of Francisco Morazan (obviously, the plaza was named after him). He was a great solider and the president of Central American Republic in 1830. 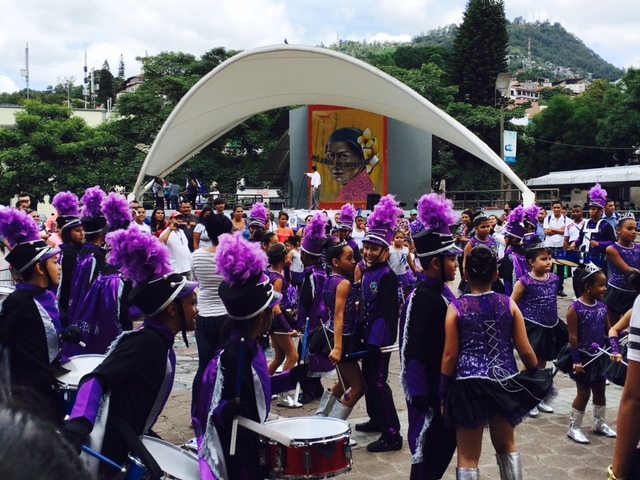 It was Sunday when I visited the plaza and Honduras was still celebrating their independence day. There was a program that time and the kids that were performing were all smiles and were wearing an image of proudness of their country. It was mostly musical program that ended with flag raising in the main square. Also located in the plaza is the Catedral San Miguel (also known as Catedral del Arcangel San Miguel). It was built from 1765 to 1782 and it is very well preserved. Unfortunately, it was severely damaged by an earthquake in 1823. 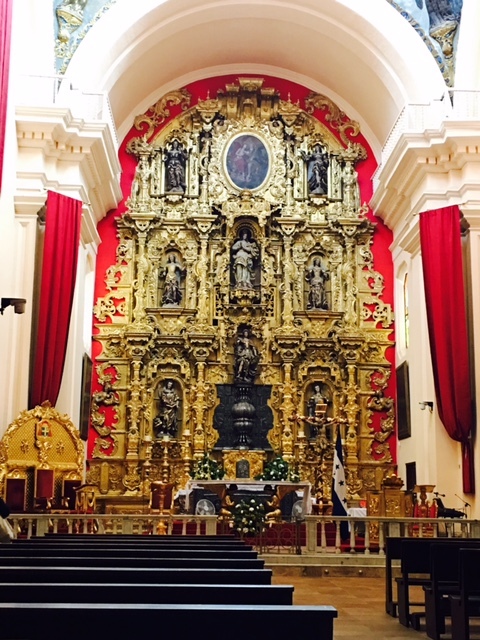 When I entered inside the cathedral, I was strucked with amazement of the design of the main altar. There is a beautiful sculpture of San Miguel in a rock garden style. 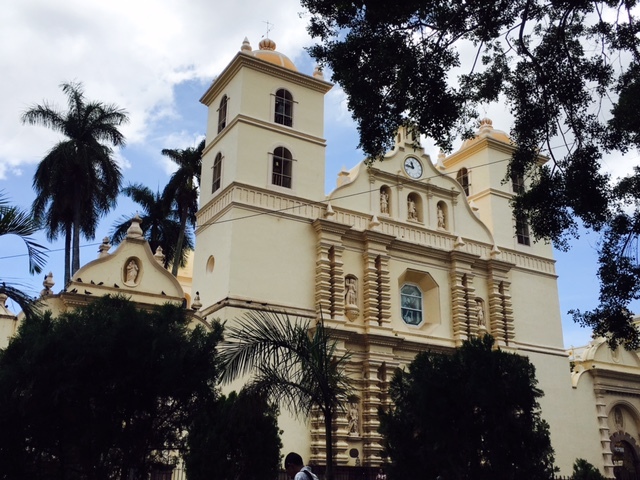 I can say that this cathedral is a "must see" when visiting Tegus. Upon walking further, I saw this very noticeable structure. It was actually the old presidential house that was used from 1919 up to 1972. The main entrance has a stone facade. 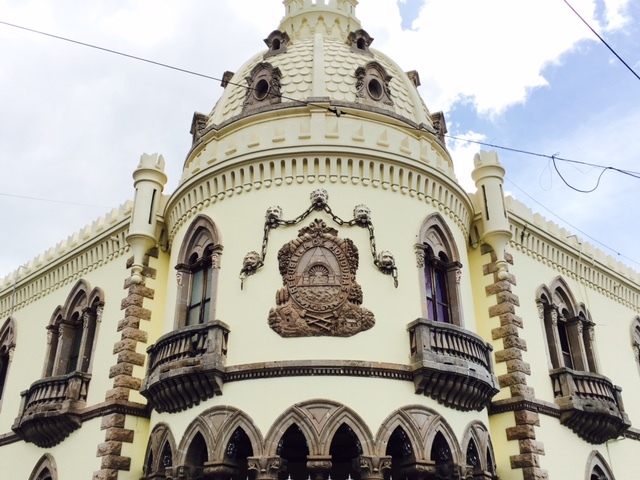 In 1972, it was renovated and is now home of the Center for Documentation and Historical Studies of Honduras. As oppose to what I read, Tegucigalpa is a very safe city. You can just walk around and the people are nice.